Free Shipping Included! 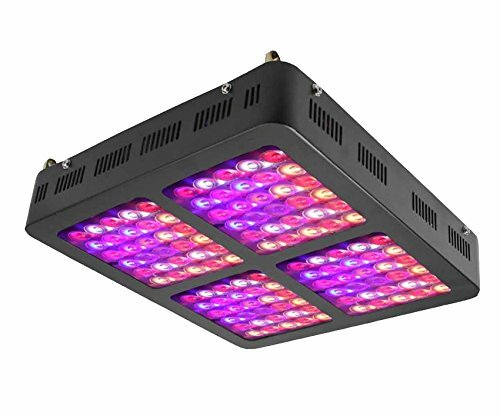 Induxpert 600W LED Light for Plant Growth - Full Spectrum LED for Indoor Plants, Veg, Flowers - Includes Hanging Chain - for Greenhouse, Horticulture, Hydroponics - Powerful Flowering Grower's Light by INDUXPERT at Community Greenhouse. Hurry! Limited time offer. Offer valid only while supplies last. Get Faster Growing, Healthier Plants With the Induxpert 600W LED Light for growing plants!Ready to take your indoor plant growth to the next level? Get Faster Growing, Healthier Plants With the Induxpert 600W LED Light for growing plants! Ready to take your indoor plant growth to the next level? Our ground-breaking light ensures even complete beginners can have green thumbs when it comes to growing thriving, healthy plants and flowers indoors. This is perfect for hydroponics and indoor gardening. Two switches for Vegetative or Flowering stages. Turn on both switches for Full Spectrum lighting. It's time to 'see the light.' Get our LED Light today and see for yourself what a difference it can make in the growth and health of your plants. The unique design of our unit promotes greater light-gathering! Our integrated light source technology improves color uniformity and luminous efficiency! Give your plants the light they need to grow faster and healthier.Get your LED light (or lights) today at our Special Launch Price! Try this lamp for 90 days - if you don't love it, you can return it. GROW YOUR PLANTS The Induxpert LED Light for plant growth includes switches for Vegetative and Flowering Settings to provide your plants with the light frequency they need at the various growth stages to realize their maximum indoor growth potential. BUILT TO LAST - Features high intensity 5W Bridgelux LED chips which create higher PAR Values and higher lumen than other LED lights. These powerful chips also deliver low power consumption and long life. EASY TO USE - This powerful LED lamp is a true plug and play device. It also includes a hanging chain that makes it easy to put the light at the perfect height for your plants and it has a daisy chain connection so that you can quickly put multiple lights together. HEAT DISSIPATION - While many LED lights for plant growth are known to get dangerously hot with continued use, the Induxpert LED Light for Plant Growth contains 4.72" fans and a high quality big aluminum heat sink (0.8") for better heat dissipation. Also, this light is wide voltage AC100 - 240V and works in both the US (AC110V) and Europe (AC230V). If you have any questions about this product by INDUXPERT, contact us by completing and submitting the form below. If you are looking for a specif part number, please include it with your message.